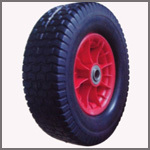 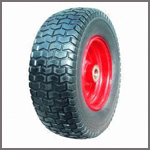 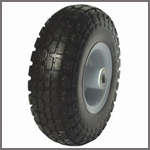 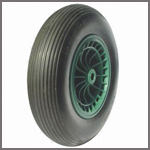 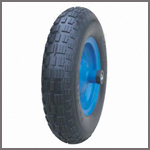 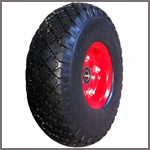 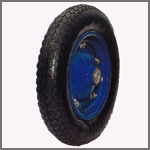 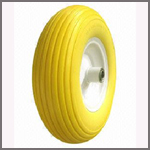 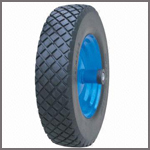 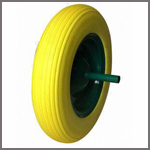 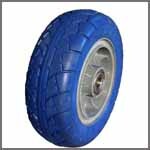 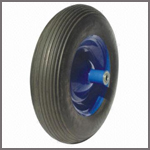 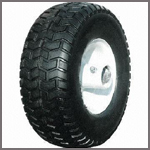 PU Flat Free Tire is made of Microcellular Polyurethane Foam, using centrifugally casting into rapid spinning tire mold. 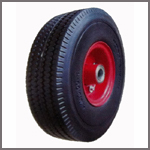 It is filled with millions of micro air cells, which eliminate the possibility of solid, no-flat tire. 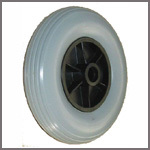 This centrifugal casting method was specifically designed to create a variable density tires that allows for a firm tread area to reduce rolling resistance and soft sidewall. 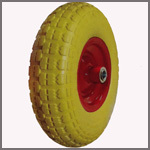 It’s applied to slow moving equipment, not for highway use.